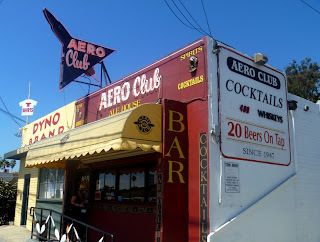 The Aero Club is a great old dive bar established by a lady pilot in 1947. The bar is off the beaten track, near the San Diego airport and spotted from I5 or various rental car agencies. It was strictly beer and wine until recently, but now it has a massive array of liquors, including 350 whiskeys and 130 vodkas. 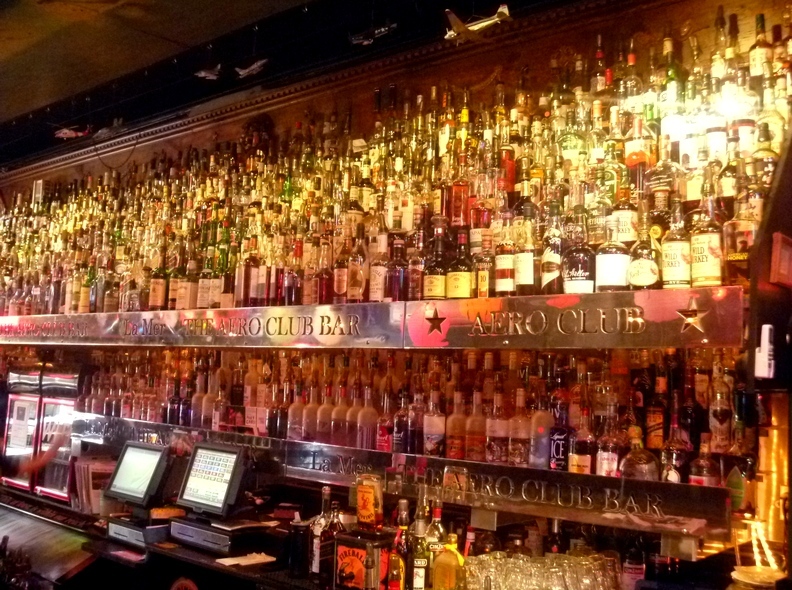 Who needs 130 vodkas? 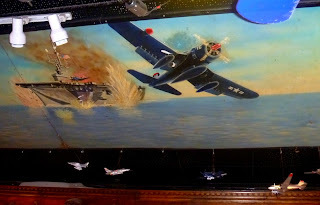 Who cares, the impressive array of bottles and sturdy shelves augment the fighter pilot theme. That theme is take quite seriously, BTW, with murals, models, a propeller clock and propeller fence out front.